Did you know that underarm skin is delicate, and plucking hairs out by the root can damage the hair follicles, leading to ingrown hairs and enlarged pores ? Pores at the underarm? Many should not aware about it right?The alternative isn’t any better, while shaving, the pressure of the blade on uneven underarm skin can lead to small cuts . In addition, debris removed during shaving may contain up to 36% of skin! Auochhh! 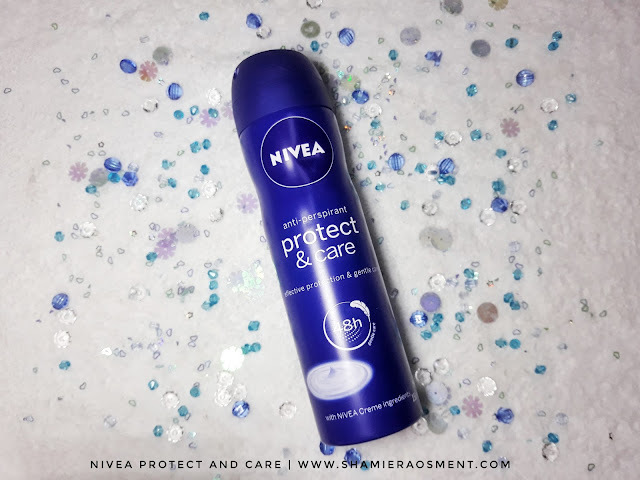 As hair removal damages your skin and often causes irritation, NIVEA has developed Protect & Care, a deodorant that is enriched with the essence of NIVEA crème, capturing the brand’s heritage of quality beauty creams with its distinctive care ingredients and delicate scent. 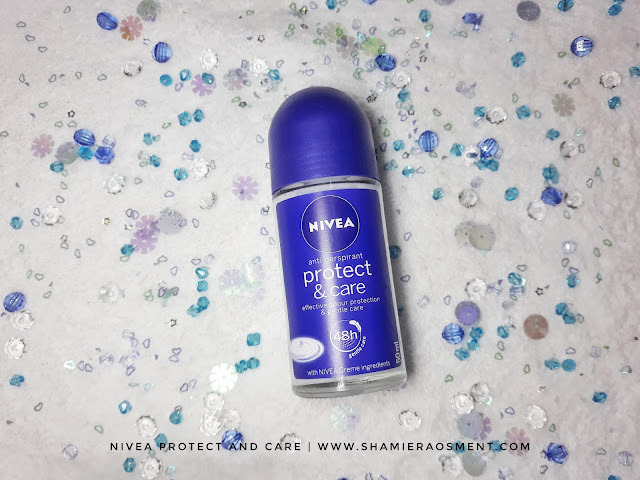 NIVEA Protect & Care deodorant offers long-lasting protection of up to 48 hours and at the same time, the innovative and skin-friendly formula gently cares for your skin, keeping you fresh all day giving you softer and smoother underarms. I love the smell of this deodorant and it does helps to protect me more than 48hours! But of course its depends on your body too right? Not everyone have the same odor issue. “At NIVEA, we believe in products that protect and care for the skin from top to toe. In our busy lives, many people overlook the little things such as skin damage caused by shaving and tweezing. Some areas need a little extra attention hence NIVEA Protect & Care deodorant offers the same care that is found in all NIVEA products, applied to the needs of underarm skin,” said Ng Hock Guan, Country Manager for Beiersdorf Malaysia & Singapore. 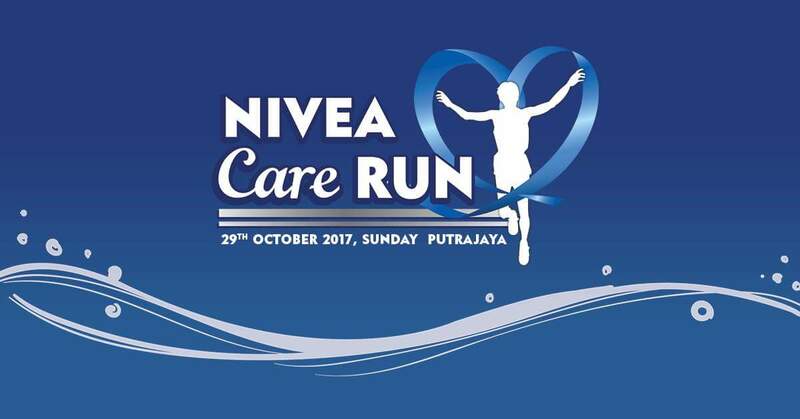 In line with NIVEA’s core value of care, NIVEA Protect & Care will be organising the NIVEA Care Run on 29 October 2017 (Sunday). The 5 km NIVEA Care Run, held at Precinct 6 Putrajaya, features educational activities that raise awareness about underarm care. Participants are also able to share the care with friends and family through the exclusive NIVEA Protect & Care gift pack in the run kit. They will also get a chance to win great prizes in the lucky draw during the run. In addition, a portion of the proceeds from the run will go towards Yayasan Budi Penyayang Malaysia (PENYAYANG), a charitable organisation, which raises and distributes funds to support needy Malaysians. With a target of at least 3,000 participants, each individual runner will also be doing their part to help Malaysians in need to receive assistance in areas such as education and healthcare. Lending support to this cause are local celebrities Siti Saleha, Nadia Heng and Fiqrie who will be there to meet, greet and cheer on the participants. If you wanted to meet this cool celebrities don't forget to join this charity fun run okay! So come experience a fun-filled event and show your care for communities in need by signing up at www.niveacarerun.com.my. Registration is RM65 per person and each participant will receive a run kit and NIVEA goodies worth more than RM100. 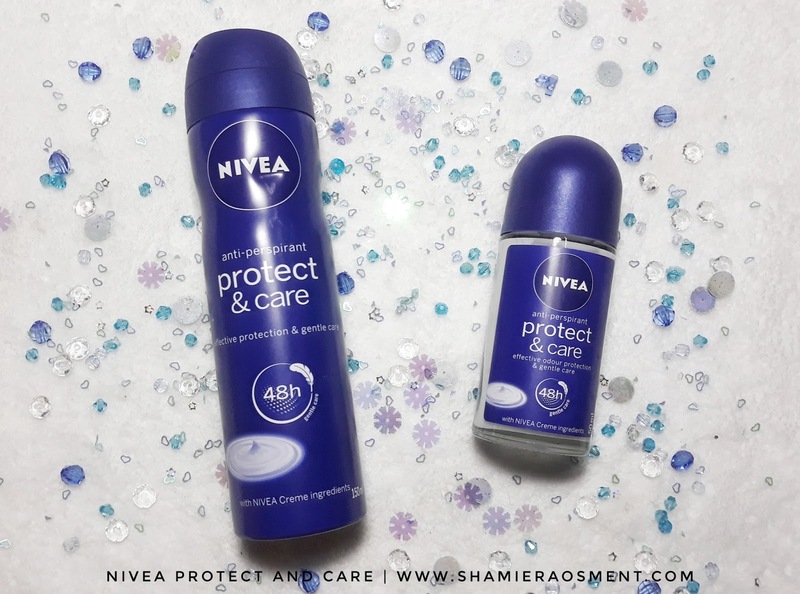 NIVEA Protect & Care is available in 50ml roll-on bottle at RM11.30 and 150ml Spray Bottle at RM17.50 (West & East Malaysia). NIVEA Protect & Care is also available in all leading stores and pharmacies nationwide. For more information, visit www.facebook.com/mynivea to find out more about NIVEA products. NIVEA was launched in 1911 as an affordable, high-quality cosmetic skin cream, employing an emulsifier to bind water and oil. Its snowy white colour inspired its name, derived from the Latin word nix and nivis (snow and of snow) and its legacy of over 100 years continues to grow from strength to strength. NIVEA understands skin like no one else. That’s why we create products that cleanse, nourish and protect your skin, while giving it exactly what it needs – gentle yet effective care that keeps your skin smooth, supple and radiantly beautiful. No matter who you are, what you do, or where you live, we’re here to help you enjoy better skincare for life. wangi nivea ni. suka losyen dgn deadorant dia. bestnya lari2 dapat hadiah wangi! Amazing and great product. I love the smell and the smell stay longer than I expected. The best part is they organizing a charity event. Well done ! How To Be a Wise Consumer in Malaysia. Volunteer Beach Cleanup, Pantai Morib Baharu.